Setting a strong foundation for health in the earliest years of life is of paramount importance. In fact, many children’s health experts believe that whatever happens in childhood, and especially in the first seven years, establishes the basis for the rest of a child’s life. The nutritional value of the food we eat decreases as the nutritional content of the soil is depleted through time and modern farming methods. Today’s fast-paced technology-focused lifestyle is filled with fast-food, lack of exercise, and artificial ingredients, making it difficult to obtain the daily nutritional support required. The rapid increase in environmental pollution and toxic burden creates an increased need for these nutrients – the vitamins and minerals that protect, nourish and sustain a child’s natural, healthy development. So, on one hand, today’s children are receiving less nutrition and nutrients from the foods that they eat, while on the other hand, their requirement for these nutrients to help protect their bodies has actually increased exponentially due to their increased exposure to the toxicity and environmental pollutants that they now face. A diet that does not provide all the essential nutrients and simultaneously provides too much sugar, too much saturated fats and too many chemical additives may also contribute to obesity, a decrease in mental function and poor immune function. The combination of these factors can create obstacles that may interfere with how a child’s body, brain and immune system develops. Daily supplementation of key vitamins, minerals and other nutrients may help and assist in filling these nutritional gaps. We now live in a society where much of our population, including our children, are overfed but undernourished. Dietary supplements can play an important role in closing the nutritional gap. Almost one-third of U.S. children take some form of dietary supplement, most often multi-vitamins and multi-minerals. This is according to a study conducted at RTI and the Office of Dietary Supplements at the National Institutes of Health in 2007 and most experts believe that number will continue to increase. When the data was examined by age group, the study also showed that almost half of 4 to 8 year olds take dietary supplements.1 Parents are understanding the need to support their child’s daily nutritional requirements. For a child’s body to develop normally, essential nutrients need to be consumed each and every day. Children need vitamins and minerals for their normal growth and for the nourishment of their organs and bones. That can be quite a task, especially since many young children are picky about the foods they eat. A good way to be sure children get the nutrients required to produce a healthy body and brain is to give them a daily multivitamin and mineral. Children are not simply little adults. When choosing a multivitamin, it is important to select one that is designed specifically for children. This will give your child the right amount of nutrients for their age and size. Remember to read the directions and only give your child the recommended dose. liquid formulas allow for greater bioavailability and absorption of the nutrients. Unfortunately, most Multi liquid formulas include only the vitamins, not the minerals, needed for healthy development at a young age. 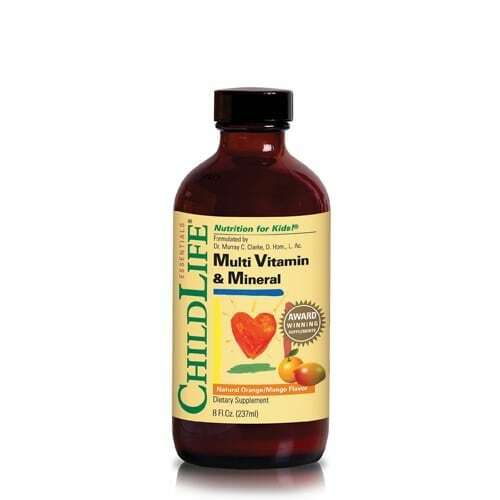 But you can count on ChildLife® Multi Vitamin & Mineral to supply all the primary minerals as well. In addition to all the key vitamins, ChildLife® Multivitamin & Mineral contains Calcium, Iodine, Magnesium, Selenium, Manganese, Potassium, Chromium and Potassium as well as Choline and Inositol for healthy brain neurotransmitter support. 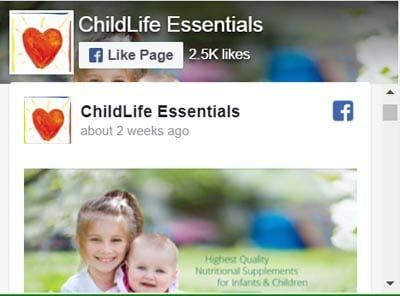 And like all our products, ChildLife® Multivitamin & Mineral is gluten free, casein free and alcohol free with no artificial colorings, flavorings or sweeteners. It is a complete multi formula you can be comfortable and confident in giving your child. It does not just happen during Spring anymore. Environmental irritants seem to affect our children all year long. Did you know that allergic rhinitis (hay fever) may affect 40% of children nationwide?2 A healthy immune response is necessary to combat allergens, but seasonal changes and natural environmental irritants can leave a child feeling miserable. Zinc is the primary mineral in Aller-Care for strengthening and regulating healthy immune function. 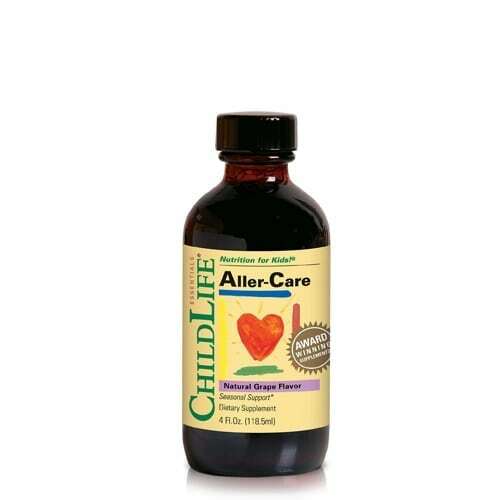 Specifically formulated for children, this delicious tasting grape liquid formula can be taken directly or easily mixed with your child’s favorite juice or beverage … perfect and safe for children of all ages!